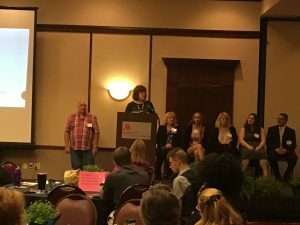 Beacon Health Options hosted their 12th Annual Family Forum Thursday, October 4, 2018 “Broadening Our Possibilities with Practical Solutions: A Forum for Families with Children in Health Choices. 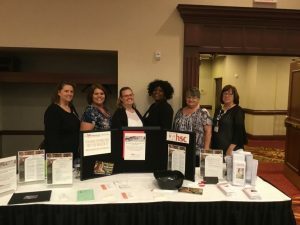 The agenda included Keynote speakers who provided information about the fight against the Opioid epidemic, updates in Children’s Behavioral Health Services, real life testimonies, and ways to cope with the holidays. In addition to an information packed day, an award was given to each county for the 2018 Exceptional Parent/Caregiver. Each county nominates a parent/caregiver that they believe has went “above & beyond” in accessing and utilizing the resources and services to ensure that their family is getting the help they need. 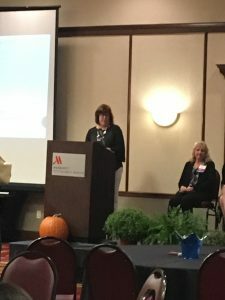 HSC is proud to say that Brenda Thompson, Partial Hospitalization Supervisor, nominated a family that she had been providing services too and they were selected as this year’s winner for Lawrence County. The forum is a great way to gain information and celebrate the families in our community.